It was in 1978 that Brigitte and her two brothers, Jean-Paul and Alain, created their company. Directing several stores in the south of France. They distribute large brands, while developing their own collections of ready-to-wear feminine. In 1980, encouraged by the growing success of their collections, they decided to launch their Women's Fashion Claw: Paul Brial. With the desire to dress everyday the active woman who asserts himself at every moment of his life, Paul Brial is a registered trademark in France and in the world. 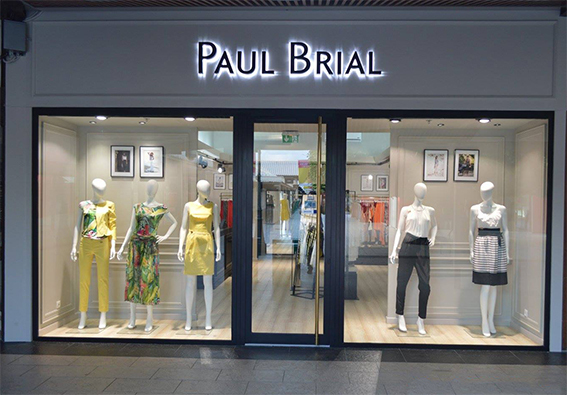 Building on its growing success with French multibrand retailers, Paul Brial launched its international development in 2004.